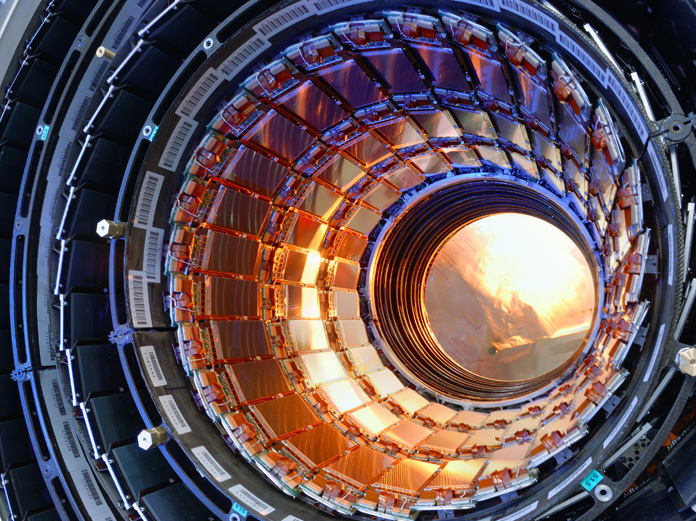 The Large Hadron Collider (LHC) is one of the most amazing (and important) pieces of technology ever developed. 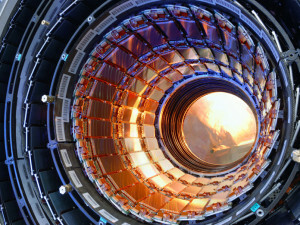 This is the device responsible for the discovery of the Higgs Boson. If you are unaware, the Higgs boson was the missing piece of the Standard Model. It helps to explain the means in which certain particles (which should be massless) obtain their mass. Ultimately, some of the particles are able to cut through the Higgs field without picking up mass, while others get bogged down (similar to pulling a beaded necklace through a tub of honey), thus accumulating mass. If true, it was believed that this “invisible” field should have an associated particle called the Higgs boson—a particle that supervises interactions with other particles and the electromagnetic (Higgs) field, exchanging virtual Higgs particles with it. It is this particle that the LHC is said to have discovered. And today, we started on a new frontier in physics, as the LHC started delivering physics data for the first time in over 2 years. What’s more, with the restart, the LHC began operating at an unprecedented energy of 13 TeV. The LHC was down for the last 27 months for updates, and since the fine tuning, the LHC is twice as powerful. This extra power allows the LHC to probe the mysteries of dark matter (believed to make up about a quarter of the universe), antimatter (such as nature’s preference for matter over antimatter, without which we would not exist,) extra dimensions, and exotic particles (which might only be exposed through interaction with the Higgs field). Today at 10:40 am, the LHC operators declared “stable beams.” This is the signal which means that the LHC can now start collecting data. And start it did. Beams made of of proton bunches started moving near the speed of light, circling around the 16 mile (27 kilometer) ring of the LHC. Over the course of the day, the LHC ran 6 bunches each containing around 100 billion protons (that’s equals out to a lot of data that will need to be cataloged and analyzed). And it’s only going to get more powerful. This rate will be progressively increased as the run goes on to 2808 bunches per beam (a great step up from today’s 6), allowing the LHC to produce up to 1 billion collisions per second. It was a long break, but now the LHC will run round the clock for the next three years. Could Sleep Learning be used to Clinically Treat Sexism and Racism?